The tree fruit breeding program at Rutgers New Jersey Agricultural Experiment Station began in 1907, introducing varieties bred for their superior eating quality, winter-hardiness, and disease resistance that are well known in the tree fruit industry. 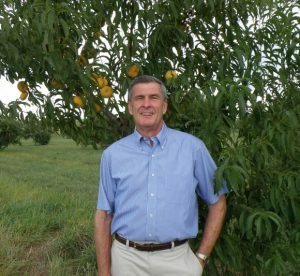 Breeder Joseph Goffreda, who has patents for apples, apricots, peaches and nectarines, has led the Rutgers tree fruit breeding program since 1989. Dr. Goffreda’s dedication to tree fruit breeding has been instrumental in sustaining the tree fruit industry of the Northeast.